Very spacious room with views over the garden. 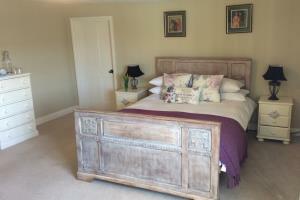 King sized double bed or can be set up as a twin. Room for extra z beds for children. En suite bathroom, flat screen tv, free wifi, hospitality tray. 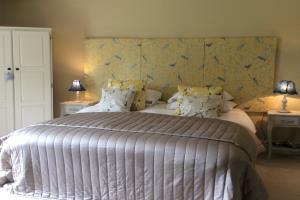 Spacious double room with views over paddock and open fields. En suite bathroom, flat screen tv, free wifi, hospitality tray, room for 1 z bed for a child. Paddock view can also be offered for single occupancy.